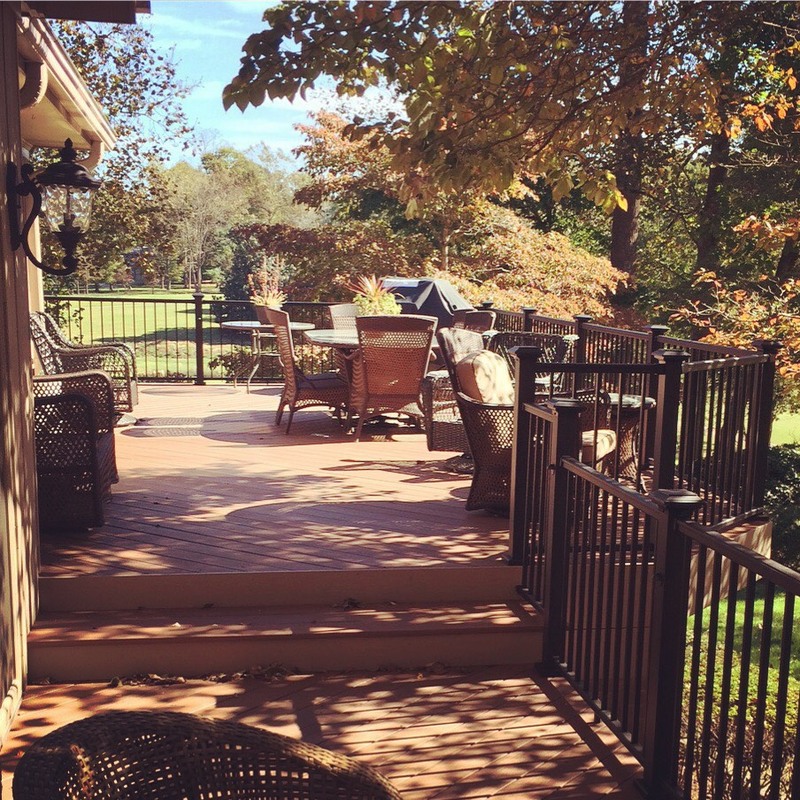 Archadeck of the Piedmont Triad recently partnered with local homeowners to design and build a deck to meet their very particular specifications and expectations. When a client reaches out to us and says they are so satisfied with our work that they would like to offer an endorsement, we humbly accept. Archadeck of the Piedmont Triad worked closely with Sedgefield Golf Course homeowner John and his wife Nancy over a period of months to deliver the service, products, and workmanship that they expected from a professional deck builder – the results of which we are pleased to showcase here, at John’s request. With great expectations, our client reached out to multiple companies. John came to us well-versed in specific product line considerations, and he knew what he wanted. From his chosen synthetic decking brand to railing post cap and picket styles, decisions were in place, and it was up to the companies that John called upon to show him they could deliver on his choices. When we first met John, a few companies were vying for his business. John and our Design Consultant discussed the relative advantages of decking materials, general design functionality, and the costs involved. As they reached the design and proposal phase, all other competing companies, for one reason or another, failed to meet John’s expectations and fell by the wayside. Ultimately, John chose Archadeck of the Piedmont Triad because he valued our responsiveness to his vision, our reputation for quality work, and the security that working with a national company provides. 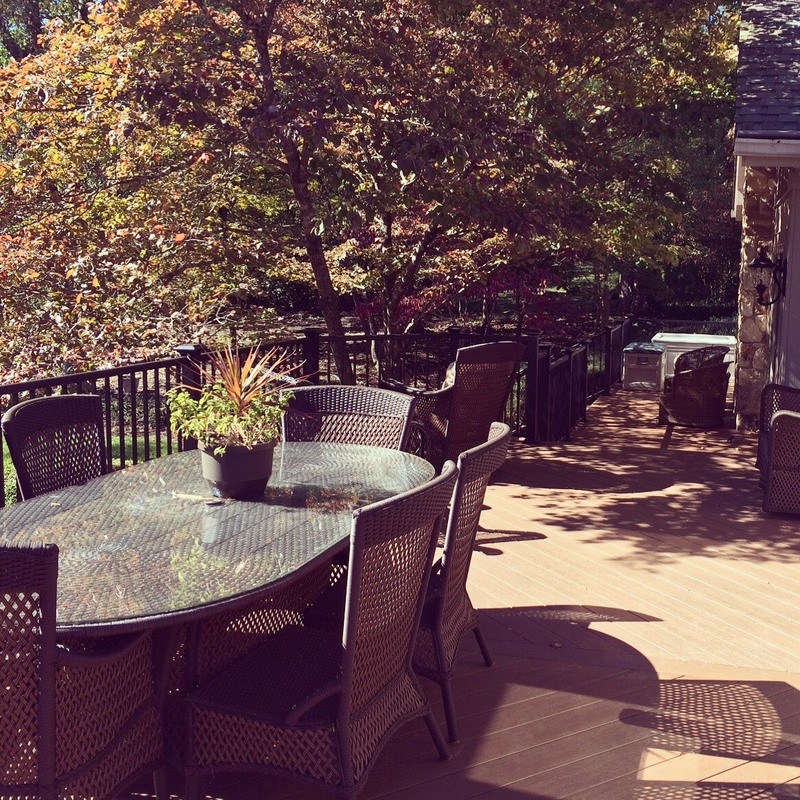 Archadeck of the Piedmont Triad is your partner through project completion. The result is an expansive deck with multiple living areas in sun and shade, and views from every space! This multi-level composite deck runs nearly the full length of John’s and Nancy’s home in a scenic golf course community. There are separate areas for eating, sunning, relaxing, conversing, and more. Their composite decking will require a minimum of yearly maintenance and upkeep; won’t splinter, fade, or rot over time. The black aluminum railing system incorporates custom square posts, flat post caps, and low-profile square pickets, which will allow John and Nancy an unimpeded view from their deck out into their beautiful yard and the fairway beyond. This beautiful home now boasts a custom-built deck for entertaining and relaxing, which meets the homeowners’ needs, and is complementary to the home and its natural surroundings. The fascia material and deck support posts are a perfect match to the home’s exterior finish. Notice how the black railings draw the eye out to the yard beyond. The deck is a natural extension of the home, and though expansive, is unimposing. Wide steps accommodate easy traffic flow for large get-togethers. If you are considering adding a custom deck to your home, Archadeck of the Piedmont Triad would like to be your building partner. With high-quality products, proven design and building expertise, and strong industry relationships, we can help you achieve your ideal in outdoor living. Give us a call for a free consultation at 336-664-1332, drop us an email or fill out a contact form on this website. We look forward to your call.